If you haven’t heard about ARTICLE Magazine, then I almost envy you. If you're yet to set eyes (or got your hands) on copy of this new menswear publication it means you still have the pleasure of seeing it for the very first time. ARTICLE Magazine is a thing of beauty. 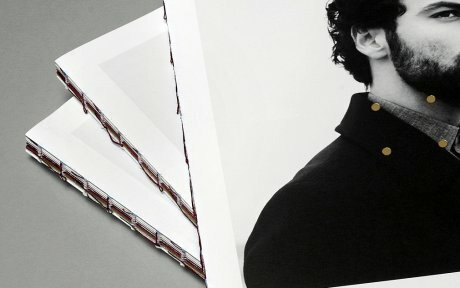 Conceived and co-founded by the magazine’s Creative Director Kenny Ho, ARTICLE celebrates the best of made in UK menswear and British creativity, be that art, fashion, music or design. The publication is the result of careful research, a wealth of industry experience, an abundance of creativity and exceptional execution. 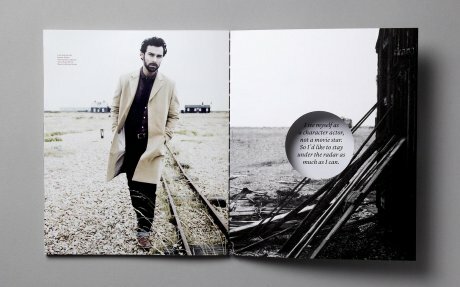 Every element of the magazine has been incredibly well thought out, from the clean cover sleeve and unique binding, to the atmospheric styling and engaging editorial. I admit that when issue one first arrived in the post in May, I didn’t read it for a week or two, so concerned was I that I might spoil its perfect pages. But when I did dip inside, I found original content (a fascinating piece on The Shoe Snob Justin FitzPatrick was right up my street), interesting textures (the magazine features a variety of papers and card) and evocative photo shoots (you’ll have to see for yourself!). Issue two has recently arrived and feature on the heritage of British textiles and an article on how to make the perfect cup of tea both immediately caught my eye. I caught up with Kenny to get a little more insight into ARTICLE Magazine, his inspiration and his own wardrobe. Read on and you'll see, that rather than ask all the questions myself, I enlisted the help of four leading menswear designers, each of whom produces in the UK. It is a testament to Kenny that they all them jumped at the chance to put a question to him! Z: What inspired you to step away from the fast-fashion scene and launch a title which celebrates UK workmanship and enduring style? 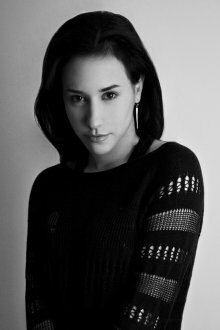 K: Having worked as a stylist for advertising, music and celebrity, as well as contributed to numerous magazine titles worldwide as a fashion editor for over 15 years, I was ready to embark on a new adventure using the knowledge I learned from my experience in the industry. While we were researching into this new print project, my art director and I realised there was nothing out there that specifically looked at and celebrated British talents and design. 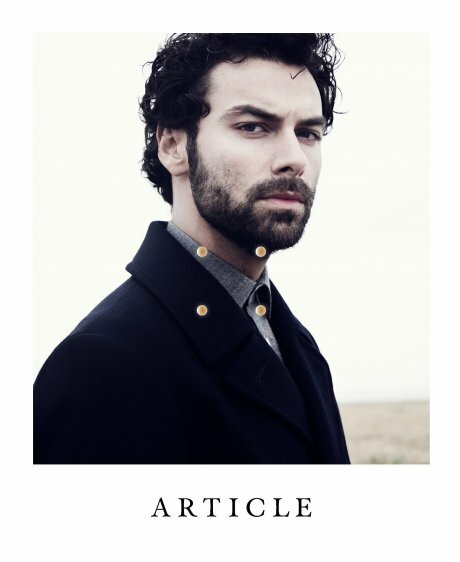 With British art, culture, fashion and entertainment having such an impact across the world, and British heritage and style having a great influence globally, we decided to make this richness the core identity and focus of ARTICLE magazine. Z: Tell me about a cherished garment of yours – where does it come from, who made it and how long have you owned it? K: One of the favorite items in my winter wardrobe is a green Burberry Prorsum military-style overcoat from 2001 when Christopher Bailey first became Creative Director of the brand. A garment of superb quality that has kept its shape really well and is very heavy and very warm – it has seen me through many winters and it will continue to do so as long as it still fits me! It was a gift from a client. Z: Who are your go-to experts for repairs and alterations? K: Having had some training in tailoring and sewing as part of my degree at college, I am fortunate to be able to do alterations and repairs myself. What I cannot do, I take to The Laundry Box on Tooley Street in London’s Tower Bridge: they look after garments with a great deal of care and provide an amazing dry-cleaning service. Z: Can you share one of your top tips for wardrobe care? K: After wearing a blazer/suit jacket for a day, always leave it out on a blazer hanger to breathe overnight before putting it away. Similarly with shoes: stuff with newspapers to absorb moisture, and if possible, do not to wear the same pair every day – give them a day off so the leather can recover between each wear. This will prolong the lifespan of the shoes. TE: How much importance does ARTICLE Magazine place on highlighting the provenance of the products it features? K: What greatly interests us at ARTICLE are the stories behind British brands and their heritage, and how these brands are looking to move forward into the future. 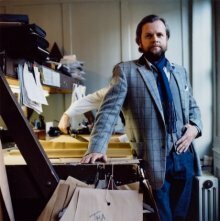 Such as the brand Hancock that we feature in the current Issue Two - Thomas Hancock was an inventor in the Victorian era that founded the ‘vulcanising’ process, which evolved into the waterproofing method for outerwear made famous by Mackintosh. With ‘Made in Britain’ now a term synonymous with utmost quality, through the magazine we also want to celebrate the work of the craftsmen and artisans that contributed to making British manufacturing such a major force in global fashion. CR: Where do you see the future of British menswear? With such heritage in tailoring but a unique sports and streetwear influence it seems that, whilst style is still important, increasingly comfort and a casual aesthetic is the deciding factor for the consumer - would you agree? K: Yes, I would agree. I think men are looking for a wardrobe that will work well in their daily lives without compromising on style or comfort. Over the pass few years, we are seeing the emergence of a more ‘relaxed’ tailoring silhouette: formal coats are now often half-lined or even unlined, and detachable quilted liners make traditional garments more versatile for all climates. Clothes are less stuffy in general and they perform better: advanced fabric technology combined with traditional craftsmanship has created a new functionality in menswear. New twisted yarns produce luxury tailoring that is crease-free, more comfortable and travel friendly, and invisible coatings render garments waterproof without loosing their soft luxurious look and feel. The fusion of sportswear and tailoring styles has produced a new form of sartorial dressing too, especially popular among the younger generation. AS: Does there need to be a clear definition between menswear and womenswear – is that still important today? K: In my opinion, yes. While many menswear themes work really well as womenswear, the reverse cannot be said. Womenswear often has a flamboyancy and softness that does not translate well into menswear. Furthermore, there is also the question of different shape and fit between a man and a woman. Perhaps the exception to this lies within sporting arena – where the line between menswear and womenswear are less defined due to the unisex nature of sportswear. K: At ARTICLE, we see print and digital as mediums that greatly compliment each other. With our print magazine, the readers get a very tactile experience through the feel of the different papers, the smell of the ink, the voice of the writer and the visual imagery. 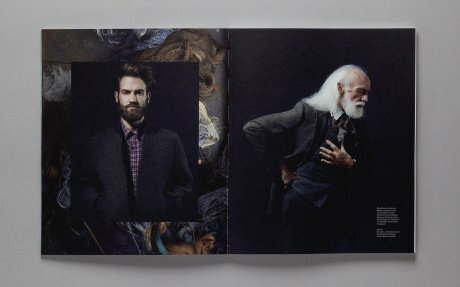 When the marked pages within the magazine are scanned with our mobile app, the digital destination they lead to takes the reader to an extension of this journey: behind-the-scenes films and moving images; interviews with the designers and artists; information on how the products are made, and other exclusives that are not covered by the print magazine. Similarly, for the designers, the digital medium can provide additional experience to the consumer that transcends the printed lookbook or campaign imagery: from films that demonstrate how the garment will function and move on the body, hidden features or details within the garment, the story of the brand etc, all of which may not be obvious to the consumer looking at a garment displayed on the shop floor or hung on a rail. Furthermore, the access of such information can now be integrated into the actual piece of clothing itself through the various forms of digital technology now on offer, adding an extra dimension to the shopping experience for the consumer.